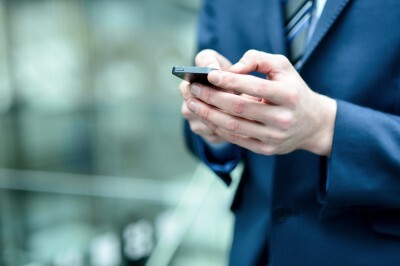 The Telecom Regulatory Authority of India (TRAI) has issued new guidelines that require telecom operators to sign an interconnection agreement on a non-discriminatory basis within 30 days of receipt of a network connectivity request from a rival service provider. The ‘Telecom Interconnection Regulations 2018’ that come into effect from February 1, 2018, also provide for a penalty of up to Rs 1 lakh per day per service area for operators violating the new norms. The regulator has also fixed five days for service providers to respond to interconnection seekers with a draft interconnect pact. Interconnection means the commercial and technical arrangements under which two telcos connect their equipment, network and services for the benefit of customers across their networks. Point of interconnect (PoI) is a mutually agreed point of demarcation where the exchange of traffic between the two operators takes place. Since launch in September 2016, Reliance Jio has consistently had accused large and established operators like Airtel, Vodafone and Idea Cellular of not giving it sufficient Points of Interconnect (PoIs) leading to massive call failures on its network. TRAI, has also laid down a ‘formula’ that would act as a ceiling for ‘bank guarantees’ in case of interconnection, instead of the current practice of such guarantees being worked out through mutual negotiation between operators. For provisioning of ports at the Points of Interconnect (point of exchange of network traffic), the regulator has fixed 30-day time-frame instead of the 90 days earlier. “The interconnection charges such as set-up charges and infrastructure charges may be mutually negotiated between service providers subject to the regulations or directions issued by the Authority…provided that such charges are reasonable, transparent and non-discriminatory,” TRAI said in its interconnect regulations. For disconnection of the ports, a service provider would have to now give a show-cause-notice of 15 working days to the other telco clearly disclosing the “reasons” for the proposed disconnection. If not satisfied by the reply or in case no reply is received, the operator will give a notice of 15 days specifying the disconnection date for points of interconnect.